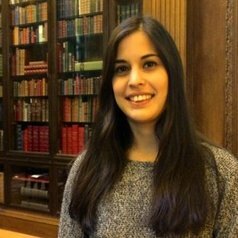 I am a Postdoctoral Researcher at the Oxford Vaccine Group and the Oxford Martin School, working within the Programme on Collective Responsibility for Infectious Disease. I am also a Junior Research Fellow at Linacre College. I currently research parental attitudes and decisions on vaccination, particularly in relation to pro-vaccination behaviours and vaccine acceptance through the concept of ‘herd immunity’ and following of vaccine schedules. I primarily draw on Science and Technology Studies, Medical Anthropology, Public Health Policy and Political Economy in my work and have experience working in government as a Senior Policy Advisor at the UK Department for Business, Innovation and Skills. My PhD at UCL (University College London) was on the policy development for 'Neglected Tropical Diseases' where I conducted fieldwork in Brazil and China, and was a Visiting Fellow at the Harvard Kennedy School of Government and the Brocher Foundation in Geneva.